A home inspection is a crucial element of any home purchase. Most buyers make their purchase offer contingent on the results of a home inspection so they can decide not to buy if the inspection reveals significant structural problems. In a market with heavy competition for homes, buyers sometimes waive the home-inspection contingency to make their offer more appealing to the sellers. Even in those circumstances, it's advisable to schedule an 'information-only' inspection so you know what you're buying. Your home inspection can cost between $300 and $500, depending on where you live and the size of the property you're having inspected. It's worth spending a few hundred dollars to learn about the potential pitfalls of your future home. Your Realtor can recommend a home inspector, but you may also want to get recommendations from your lender and an attorney. Check out each home inspector's credentials and reputation online and ask how many inspections each has completed. Most home inspectors will provide a written report after the inspection, but you should ask to see a sample report and how long it will take until you receive your report before choosing your inspector. You should always attend the inspection since this is your opportunity to learn about how to take care of your home. Before your inspection look over the interior and exterior of the property for potential problems and areas you would like the inspector to review carefully, such as dark spots in the basement or underneath the bathroom sinks that could be water damage. Depending on the rules in your area, the seller may be required to disclose known defects in the home. Ask the seller's agent, your buyer's agent, and even the neighbors if they know about any issues with that house or others in the community - such as basements that flood. Prepare a list of questions for the inspector and bring a notebook or tablet so you can take notes. 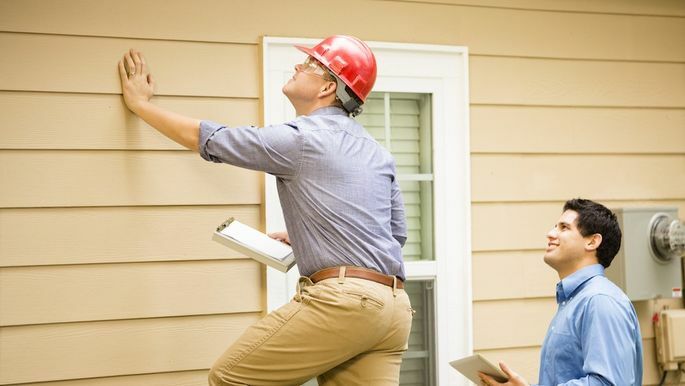 While your inspector is looking for major issues such as a foundation problem, a leaky roof or mold, you should also use the hours of your inspection to learn how to take care of the home and its systems. Find out where the water shut-off valve is and ask for advice on how to maintain the property. Most home inspectors can tell you the life expectancy of your appliances so you can avoid being surprised when it's time to replace the water heater. A good inspector will also point out small repairs you should make after you move into the property. If the inspector finds a major problem with the home you intend to buy, you'll need to consult with your Realtor and review your contract to decide how to handle the problem. Depending on what the inspection reveals, you may want to pull out of the deal or request that the sellers address the issue. You, the sellers and your agents can negotiate whether you want the sellers to fix a problem, give you a credit at settlement, or cash to make the repairs after you move in. A good home inspection should do more than look for flaws, it should prepare you for homeownership.